The medium-term goal is to bring a subset of GGZ applications, but especially the libraries, to mobile devices like the N810. From that point on, game authors are expected to make use of GGZ. 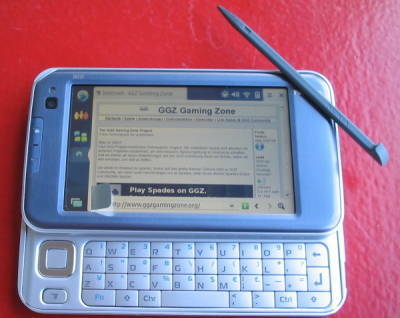 Eventually a number of GGZ-enabled games will all provide a good multiplayer experience on such devices. The major areas are maintenance of modified GGZ packages for Debian, which themselves are not yet ready for the snapshot release series, and the modification of user interfaces so that applications and embedded dialogues become usable on smaller screens. Please join the GGZ development mailing list. First experimental packages are now available. Install them by clicking at the icon below.